The school time is considered as the best period of life. It is the time, when you learn many new things about our world. It is a time, when you place the founding stones of your career. Obviously, you must get equipped with the best gears to run faster otherwise you may get left behind others. Kids should get everything that they need to maintain their interest in the studies. We provide you with top quality material that you may need during the school time. Choose us to buy school stationery online and get everything at your door on the same day. We provide students with all the best materials they deserve to perform better in their studies and we charge a very fair price for our products. What do we sell online? 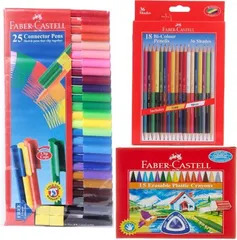 We supply a wide range of school stationery online. You can take our support for buying everything you need during the school time. We have the best products for your kids. 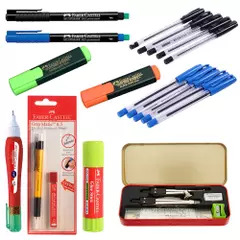 The list of school stationery products is mentioned below. We are providing students with a vast collection of art and craft products. You can place the order for all sorts’ painting products, which your kids deserve. 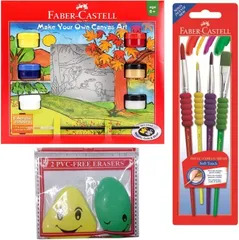 Let them show how artistic they are and how creatively they can draw their favorite creatures, products and characters. 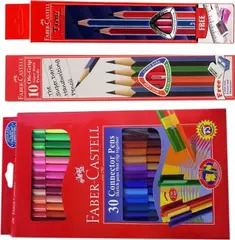 We have color pens, pencils, sketch pen and many other products that your kid would require for drawing. So, search for all the painting material on our site and place the order now for quick delivery. 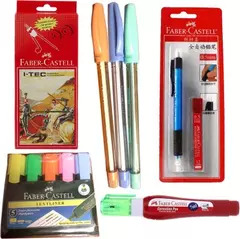 All the students seek high-quality pens and pencils that they can use to improve their writing on the paper. Little kids need top-quality pencils to learn how to write. 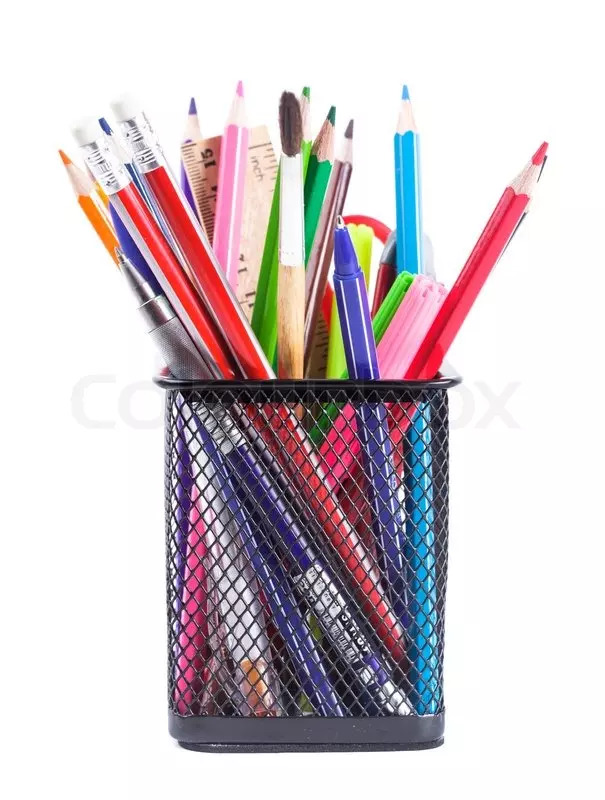 We supply high-quality pencils that can last for a very long time. 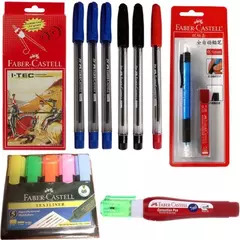 In addition, we have a vast collection of ball pens, gel pens and markers, which the students can use during their studies. 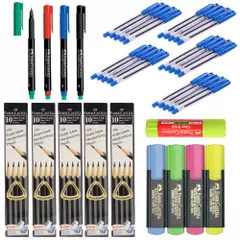 You can place the order for the sets of different pens and pencils so that you will not move to the stationery shops time and again. 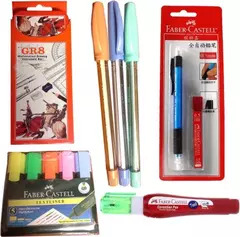 Our online stationery store gives you access to everything you or your kids need for studies. So, check our collection and place the order now. 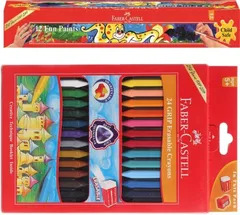 The colors and drawing material are an essential part of the school stationery. Every kid wants a wide range of colors. However, the little ones would also like to taste their colors time and again. So, it is important to provide them with high-quality and safe colors. We are providing top grade colors and painting materials, which you can offer your kids for drawing anything he or she wants to draw. 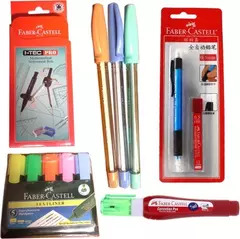 We also supply many other school stationery products that young kids may require for the studies. We have tie-ups with many renowned schools and they always suggest our support, whenever parents ask about the best online school stationery. 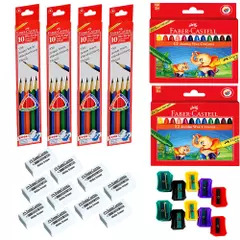 Different schools and parents trust us because we supply all sorts’ writing and painting material at very affordable cost. Our products belong to some of the most famous brands that produce only top quality school stationery material. So, use our services if you don’t want to visit the local stationery again and again for your kids’ demands.